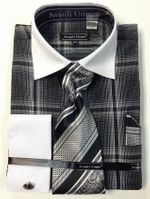 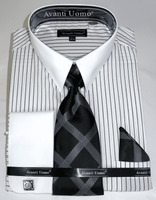 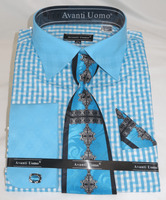 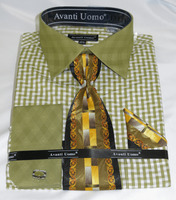 Avanti Uomo mens french cuff dress shirts are for the fashion forward man, which coincidentally is the meaning of Avanti Uomo in Italian. 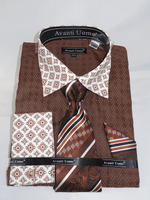 It means "leading man" and the name is a great description for what you receive when you wear fashion dress shirts with the Avanti Uomo label. 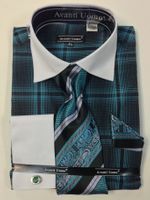 You're going to find the very latest fashion fabrics with patterns and colors that are simply designed for not blending in with the woodwork. 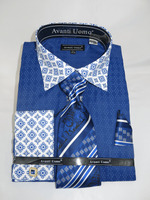 You're going to see fashion features like fancy shirt cuffs with either double buttons or french cuffs combined with fancy style shirt collars that will contrast with the body of an Avani Uomo shirt that look great with Stacy Adams Shoes. 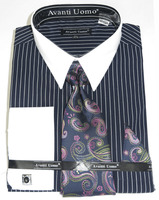 Need a sharp looking Double Breasted Suit. 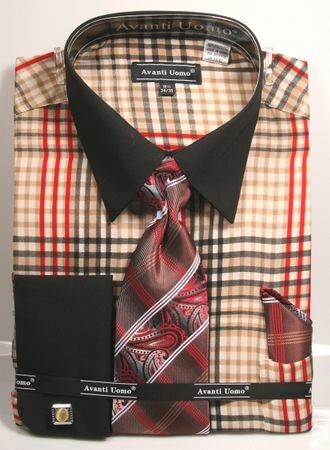 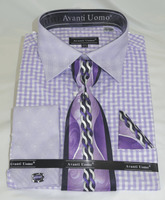 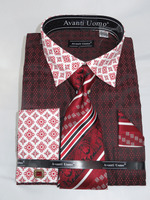 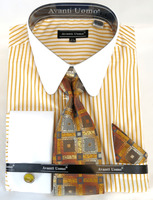 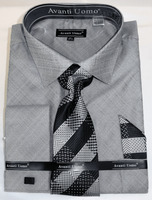 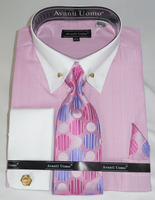 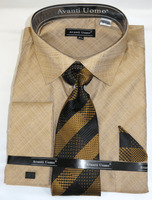 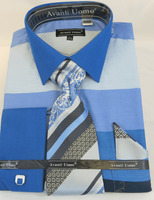 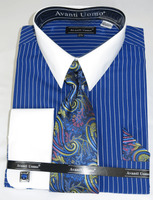 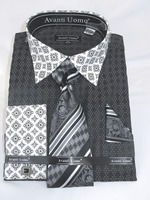 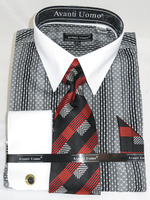 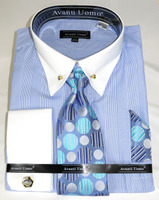 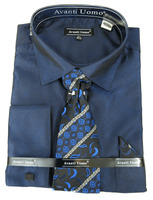 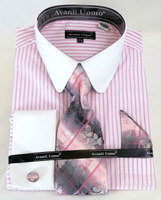 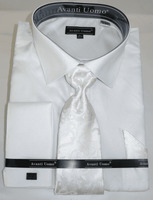 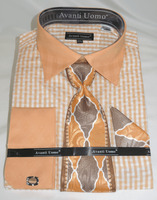 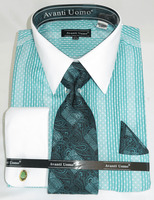 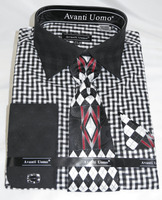 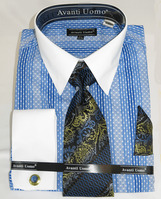 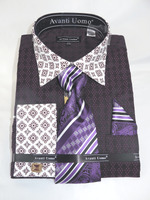 If you love the bold style of Avanti Uomo dress shirts, you'll love our bold looking Zoot Suits.